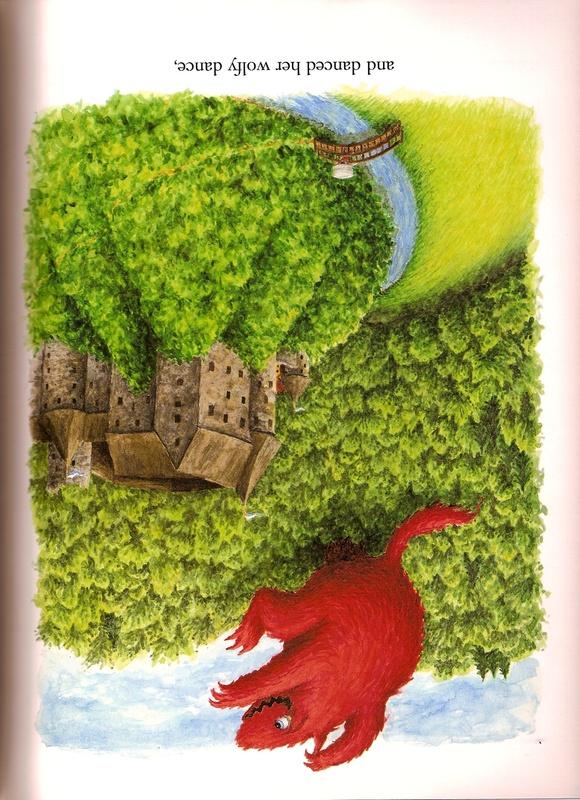 Instead, we have this gorgeous, perfectly fairy tale-esque landscape and the red wolf leaping across, with a trail of destruction in her wake. The thing I love best? The absolute joy evident on the wolf’s face as she bounds across the woods. It’s perfect. Does it Break the Slate? Are you kidding me? Of course it does! The slate is left shattered into a million pieces (roughly the same state as Princess Roselupin’s tower after her transformation). Who would we give it to? Well the real answer here is EVERYONE. This is the kind of book you want to hand out to strangers on the street, that I probably need to invest in a lending copy as well as my personal copy. But more specifically, I would give this book to girls, or parents of girls who are deeply immersed in a princess phase but are worthy of a princess with some substance. Review: As I mentioned, this book is absolutely a Princess book. Princess Roselupin (GET IT? you will!) is kept locked up in a tower because her father, the king wants to keep her safe from anything bad that might happen. But, as you might imagine, there’s something lacking in a world seen only from a window, and Roselupin spends her days looking out, wondering what might be out there. 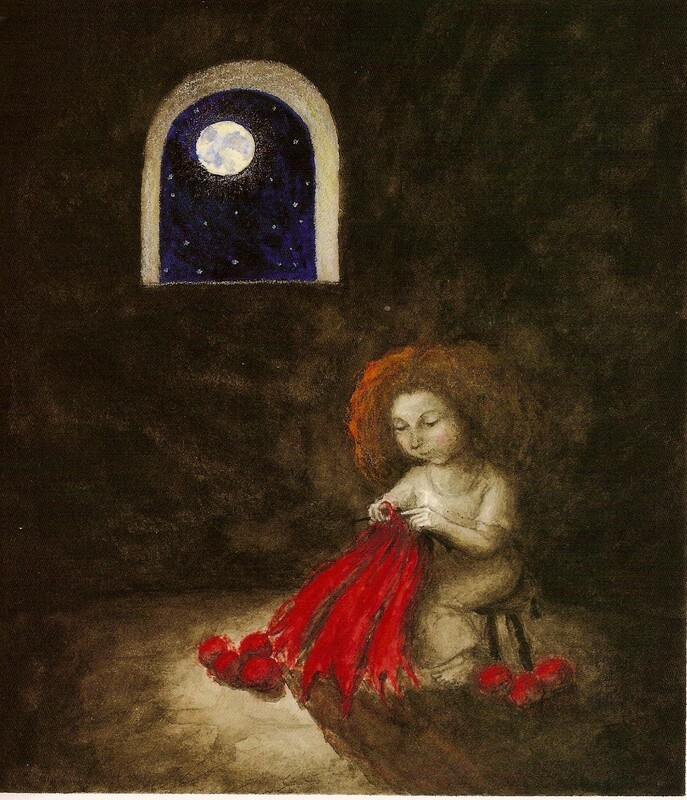 But then, on her seventh birthday, a mysterious box of yarn arrives for her with the enigmatic instructions “knit what you want.” The king thinks it’s hilarious, suggesting his daughter knit him a “nice scarf.” Instead, Roselupin knits herself a red wolf suit and transforms into a giant red wolf. As a wolf, Roselupin breaks through the tower and goes out to explore the world, loving every minute of it. Talk about a girl of action. Roselupin doesn’t complain about her situation, she doesn’t throw a temper tantrum and insist that her father let her go out and have adventures. Instead (with a little bit of magic) she not only finds a way to her own freedom but to give her father a perfectly suited comeuppance (I don’t want to ruin the ending, but oh my goodness that last page is satisfying). Roselupin fights the stereotype of powerlessness both as a girl and as a child – she not only fights the expectations of her based on her status as a princess, she is fighting against the age-old power struggle between adults (specifically parents) and children. Initially, up against the oppressive “for her own good” rules made by her father, Roselupin doesn’t stand much of a chance. But she finds a way to not only assert herself but to give her father a sense of what it means to be powerless. As I mentioned, parents take note: this is a book that falls resolutely within the princess genre while subverting it at the same time. There’s no handsome prince, no midnight ball and no wicked witch. We have a father who, despite being a king, doesn’t who doesn’t understand how to be an effective parent and a princess who is going to take action on behalf of her own happiness. Read this book to your kids. They’ll love it and so will you. or the wolf’s utter joy. 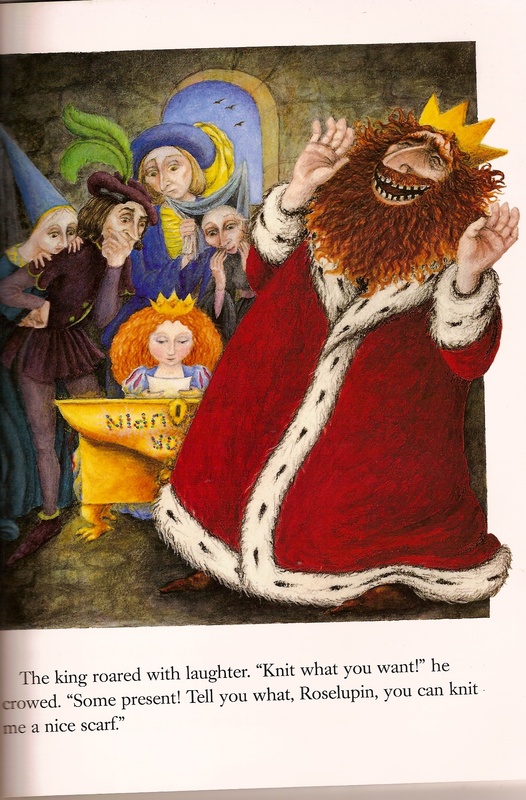 I love that the illustrations not only give us this totally rich perspective on the characters, but they set us directly within the world of the fairy tale. 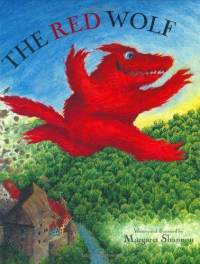 The Red Wolf is a traditional fairy tale in terms of the world Shannon creates for her readers and the journey the characters go on. It subverts the genre utterly from within. Full disclosure – I am not new to this book. As a teacher, I’ve been using it for years, in drama classes with kids of both genders, preschool up through third grade. And seriously you guys – it is the BEST in a class. It’s really fun and incredibly dynamic and kids inevitably make brilliant and insightful observations in character. If anyone who reads this wants a copy of my lesson plans let me know – I’d be happy to email it to you. That’s how much I love this book, and want others to love it as well! Reviewed from copy purchased from Women and Children First Bookstore. 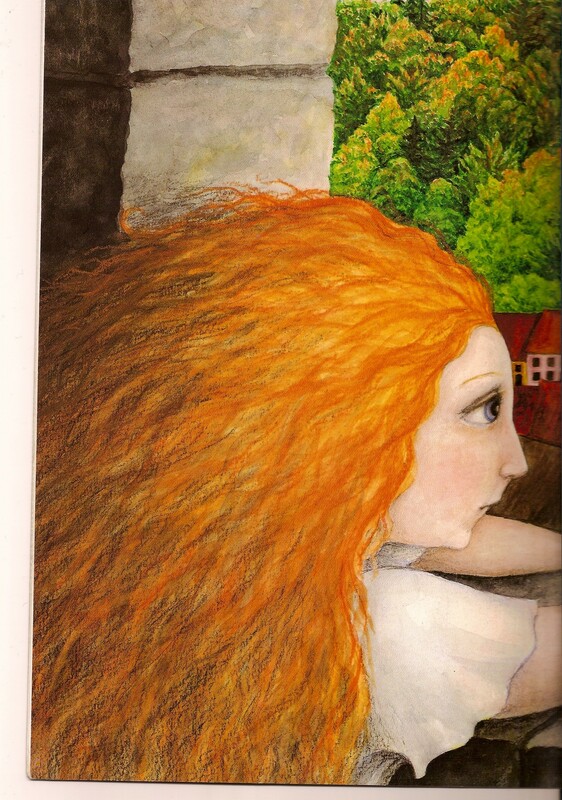 This entry was posted in Picture Books, Reviews and tagged Fairy Tales, Magic, Margaret Shannon, Parents, Picture Books, Princess Culture, Princesses, Read-aloud. Bookmark the permalink.